Teeth can be moved into position and straightened to improve the appearance of your smile and how the teeth work. This field of dentistry is called orthodontics, it can also help to look after the long-term health of your teeth, gums and jaw joints, by spreading the biting pressure over all your teeth reducing the risk of your teeth being worn down. A removable brace (a plate that can be taken out to be cleaned) can be used to carry out simple treatment. Teeth are moved by applying gentle pressure to them using delicate wires and springs attached. A fixed brace can be used to guide teeth more accurately than using a removable brace. A fixed brace is used has brackets and bands which are temporarily stuck to the teeth. A flexible wire joins all the brackets and allows the teeth to be moved. You can’t take the appliance out yourself, so it is called a fixed appliance. There are a number of ways in which teeth can be straightened. One of the most popular and discrete ways of straightening crooked front teeth is with clear aligners, which are tough, clear plastic ‘aligners’ (moulds) that are used to straighten teeth. Several sets of specially moulded, slightly different aligners are made for each patient. Each set is worn for two weeks before being replaced with the next one. They are made from clear plastic, so they are nearly invisible. This means that no one needs know you are straightening your teeth. The most important thing is to have a full dental examination. This will usually involve looking at your teeth, taking dental x-rays and photographs. Our team at Crown Bank Dental will provide you with a thorough assessment and advise you on the most suitable way of straightening your teeth. The length of treatment depends on how severe the problem is, and it may take anything from a few months to one year for the straightening of front teeth. Most people can be treated in 12 months. When treatment is finished the teeth need to be held in position. This is called ‘retention’, and the appliances that hold the teeth in place are called retainers. The retainers hold newly straightened teeth in position while the surrounding gum and bone settles. At Crown Bank Dental we provide retainers that are both fixed and removable, once your treatment is complete to ensure a long lasting natural and aesthetically pleasing smile. 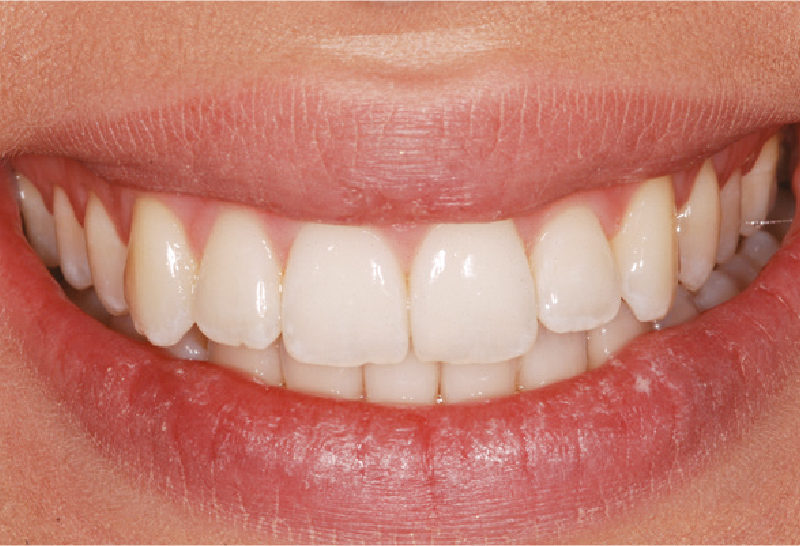 Other cosmetic treatments such as veneers can be used to give your teeth a straightened appearance. Where the teeth are especially crowded and crooked, teeth straightening is normally recommended prior to veneers. This helps to minimise the amount of tooth needing to be trimmed to make space for the veneers to improve the aesthetics of your smile. Teeth straightening is often used in combination with teeth whitening and tooth reshaping and rebuilding with cosmetic white filling material to enhance the appearance of your smile for a natural and aesthetically pleasing outcome. The cost for teeth straightening depends on the severity of tooth crowding to be corrected to improve your smile. For further information on the cost of teeth straightening please refer to our price list.